Shanghai, characterized by its iconic, modern Luijazui skyline, is one of the biggest cities in the world. It is a major transport hub, as well as an increasingly important global financial center. Home to the largest free-trade zone of mainland China, how does this huge metropolis do in terms of city performance, brand strength and reputation? Shanghai a good place to live? Shanghai is located on the eastern coastline of China and sits at the tip of the Yangtze River. Its name literally translates into ‘upon-the-sea,’ which could be seen as symbolic for its importance as harbor city. According to Llyod’s List Top 100 Port Reports (2017), Shanghai is the busiest transhipment hub of the world, since 2010. Not just is the city important in terms of transport, it can also be considered one of the most important global financial centers. The Global Financial Centres Index ranks Shanghai 5th, closely followed by Hong Kong and Singapore. The city’s strong economic performance is not reflected in its attractiveness as healthy city to live in. The Healthiest Cities study ranks Shanghai only 87 th (out of 89 cities). Especially the ratio of obese adults, the food and air quality and the (easy) accessibility to fast-food outlets have contributed to this low position. The Sustainable Cities Index comes to a similar verdict. In the sub-index ‘people,’ the city is ranked 67th. This is a little better than the study’s overall position for Shanghai (76th), but still very low. It should be taken into account that Shanghai is doing better than most other ‘megacities’ with comparable population size (such as Mumbai or Beijing). According to the Safe Cities Index, Shanghai is a fairly save city – 34th safest city out of 60 ranked cities in the world. In the list of similar ‘megacities,’ Shanghai performs in the better half of the ranking. Its infrastructure safety ranks 38th. As an important transport and commercial hub, Shanghai finds itself in 4th position for ‘accessibility’ (Global Power Cities Index – GPCI). Despite the 4th position in this field, the city has dropped from 15th to 26th place in the GPCI overall – its worst performance since 2010. Its strong economic performance does not outweigh its poorer performance in other areas. Shanghai is only ranked 48th for its international reputation, according to Reputation Institute (both in 2017 and 2018). The Innovation Cities program ranks Shanghai in a 35th position. After Hong Kong, it is considered the most innovative city of China and the 7th most innovative city in Asia. This ranking is based on 162 indicators measuring conditions for innovation. 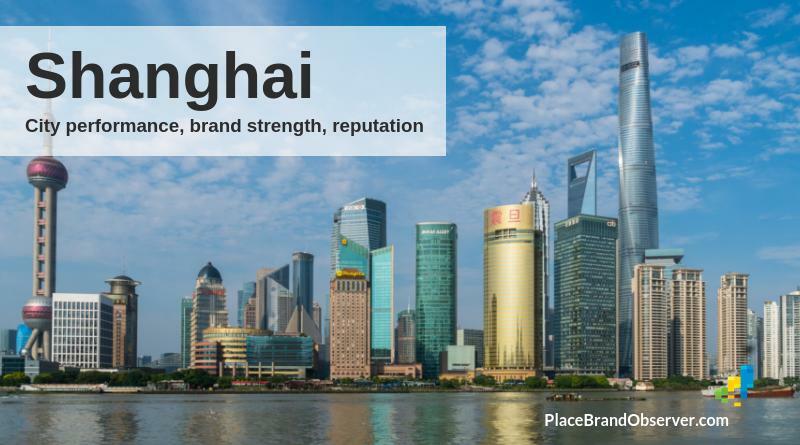 Enjoyed this snapshot of Shanghai’s city performance, its brand strength and reputation? Spread the word!